When Did You Sign Up for Marriott Rewards? I hate to admit this, but I first joined in 1985. When did you join? Can you see this somewhere on your account? I honestly have no idea when I actually signed up! i am a newbe 2009. I joined in February 2011. I joined Marriott Rewards in the summer of 1989 or maybe 1990, but I think '89.. I can't remember. Maybe 2007? Don't think I got serious about it until about - 2009? I've really only been traveling for about the past ten years. Prior to that, we camped. Lots of camping. Then came the motor home. Then the folks bought the timeshare, and a new era was born. Late bloomer here. 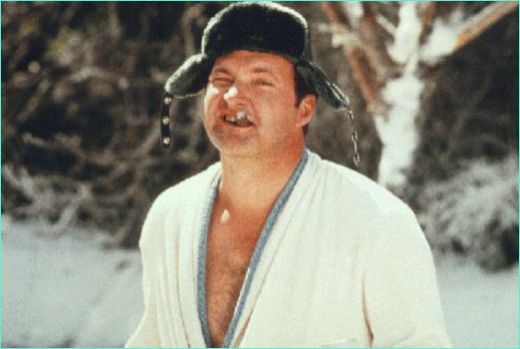 I'll bet you didn't have a "Cousin Eddie" to deal with when using the motor home did ya? Lol, are you poking fun at our motor home days? We had some pretty spectacular stays right on the beach with gourmet dinners prepared on the barbie, wine, amazing ocean sunsets and weather that can only be found in Paradise. Hard to beat and the price was something like $30/night (though 5 mpg did do some damage to that savings.) Good times, actually. Okay, just found out I joined 4/19/2006. Good info about the online chat now box, mustanggt! What, me poke fun? Are you just seeing that for the first time today? My Dad had a motor home for a year or so when I was off in the Army so I wasn't part of that touring experience. February 1988 when my business travel began. I had a smart manager who told me to sign up for every affinity program available. I've done 500+ nights with Marriott and 800+ with Hilton. Fortunate enough to join when it began as Honored Guests in 1983 (six hours before jerrycoin ). Marquis Club was a part of the Honored Guests program with special benefits. Those check cashing privileges were sweet! erc The $200-Plus Reservation Guarantee was interesting. Apparently, if you didn't have a room that you had reserved, you were given a $200 check, they quickly got you a room at a nearby hotel, AND they gave you your 1st night free the next 2 times you visited Marriottt. If they followed through with the guarantee without jumping through hoops, being walked would not be such a bad thing. I bought my first timeshare at Royal Palms in 1980's, and have enjoyed every minute. Wow, you might have joined before jerrycoin. He's been a member for more then 31 years, but it sounds like you may even have him beat. Jerrycoin has far surpassed me in his travel experiences, but I think I beat him (and am probably older) in when I signed up. I think an early major Insider contributor (TJCNY) signed up before I did, but there aren't many of us original Marquis members left. I was fortunate to do my most heavy international traveling in the golden years, prior to 911 and FF and hotel reward program devaluations. I still travel some domestically, but not nearly as much as I did previously, and that is fine with me. My wife and I were Marquis Club members in the 70s as well. In the very beginning it was a direct mail campaign to 'business' travelers. In order to beef up the numbers (and work out the bugs) employees were allowed (encouraged) to join. Why I can't find any notes on the Marquis Club being a predecessor to the Honored Guest program several years later, is a mystery. Marriott always says the Loyalty Program began in 1983 with Honored Guests, but as you write, the Marquis Club came earlier and was based on loyalty - oh well. I just spent a week with, like yourself, an original Vacation Club owner. He was reminiscing about how you could trade in your week for something like two first class tickets, 7 nights at a top of the line hotel AND a rental car. As you wrote somewhere else in the forum, those were truly the glory days. In a glass half full perspective, we still have 5 for 4 . Oh the history here of our Insiders, incredible! I do remember getting a Marquis luggage tag just not sure what year and nothing like what you geezers got!! That is a very special link erc and yes you did it correctly or at least that's what this other geezer believes. I believe my luggage tag was given to me one of the last years they sent them out. I sure liked it as it made this youngster feel important yet it was stolen off my bag one day, another reason NOT to check luggage. As a charter member of the IAH never check club (no ssindc, once is not enough for membership ) I experienced another reason to avoid checking if possible. My DEN to SLC flight kept getting delayed due to snow conditions, the non-checker folks were given priority over the bag in the hull gang and I was able to change flights for a half hour later flight (which left before the original). Not only that, but once again proving the value of Insiders, I even chose the bigger plane; six wide vs. four wide...no I don't know the types of planes, nor care to learn, but through my forced osmosis education from the thread that never dies, Aviation Geeks Unite, I at least knew to consider the size of the plane (I'm not a pure geek, in that I don't know the engine capacity or the flush rate of the toilet, like your group of zanies ). Well, this plane provided me with my third of the year (not bad, not bad at all) First Class upgrade. All due to no bags and Insiders - yeah baby, showtime! You my friend erc are on the cusp of becoming an Honorary Aviation Geek.....picking the widebody (no not a wide body) in order to be more comfortable as well as increasing your upgrade chances. Well done and yet another reason we need to keep ssindc from checking all his camera gear and just roll it aboard the flight! My official date is August, 1994..BUT, I feel certain I was in earlier and let my account lapse or just started a new one. I didn't have a whole lot of stays before 1988 or so, but I played the field for a good five years prior to my 1994 date. I have my original membership card and the welcome letter dated July 15,2002. I have my account statement showing activities from 10/13/02-10/05/03. I stayed at the Springhill Suites for 3 nights in Tempe/Rio Salado and earned 1,413 points. The next statement I have shows activities from 10/05/03-02/26/06. I had a 3-night stay at the Springhill Suites in Little Rock and a 2-night stay at the Courtyard Galleria in Houston. On 12/01/05, a 15,000 points MR Visa enrollment bonus was posted. I wish we still received the account summaries in the mail or they were online where we could access them. As time permits, I want to go through the summaries I do have, receipts I have kept, and my desk calendar with trips noted, and post a summary of my Marriott stays. I don't think it will be nearly as complete as most of the ones which have been posted. jerryl, I thought is was listed on our account page somewhere, but I can't find it there now. I seem to remember seeing "Member since Aug, 1994" every time I signed in. Last June I received a very nice email from MR thanking me for my 31 years of participation! I'm retired now but I traveled for business for 20+ years and got in to Marriott in 1985 when I discovered the then-new Courtyard properties as a super alternative to the Holiday Inns and such of the time. The very, very few times my wife and I have strayed from the Marriott fold have generally been disastrous, so we look no further any more. today !! right now !! jw99, regrettably, I didn't sign up for Marriott Rewards until 2002. I was a little late to the loyalty program party, and probably could have joined in 1998 if I had been paying more attention. I am grateful for the forum we have as Insiders to help one another along the way. I've learned so much from the veteran travelers on Insiders who have been there and done that, and hope we can continue passing along the wisdom to those that follow. I still have the welcome email and it says Sep, 25 2013. I started to really use summer of 2014. I think my first stay on my acct was July 2014, in New Orleans. jsucool76 where are you!? I can't be the only newer member! I am quite impressed with those of you with more than 10 years! AND it is pretty amazing we have some insiders here with 20+ and even 30+! So I'm just over 2 years of membership here. So good to hear from you! I wish I had found this site sooner. I first picked up a card from the Portsmouth Marriott in around 2004 and showed it every time I checked in there for a couple of years. that would be maybe 4 or 5 stays till I called Marriott to get to access it via the interweb and was told the number on my card didn't exist, so I'd collected nothing, nowt, nil, nada. Formally joined in 2006! I believe my year 1994 When I first started working full time for my company and personally started to pay for hotels myself! Good times began! Hey jw99, do you have a Marriott Marquis luggage tag? No luggage tag...I don't recall what the program was named in 1985.. I joined the Honored Guest program in 1991 and the Courtyard Club in 92. These programmed merged to become Marriott Rewards in the mid or late 90s. (My first Marriott stay was in 1966, at Key Bridge Marriott, which was then a two story Motel. At that time there were only 3 Marriott hotels. Those were Key Bridge, 14th /Street Bridge and Philadelphia. In 2009, My daughter was married at the Key Bridge Marriott, where I had spent my wedding night, 43 years earlier. phctourist, Keybridge Marriott is one of if not my favorite Marriott Hotel in DC area! I stayed there practically 1 year with some breaks in between every six weeks. I used to get the 12th floor suite facing the Washington monument straight out front and Georgetown U. to the left which could be seen directly from the bed..Best view hands down! I also loved the fact that after work I could go for a nice run along the monuments putting in however many miles I want usually would do 6 - 8 miles round trip going across bridges to Lincoln or Jefferson monument then back through other side of Potomac river over Keybridge back to hotel, or do a nature run along the Potomac! Simply the best in the area! I also loved the fact of so many restaurants, bars etc. wife & kids enjoyed the activities while I was at work. The staff were great as well, I felt like family with a lot of them especially Rose in the Lounge, Janet in back office that took care of my room request and check-in staff, restaurant ladies. So much to say about that hotel. I don't know how it is now as it has been a year or two since my last stay and heard quite a bit of change, so if I go back this spring/summer, I'll have to see if staff & hotel has kept the same or gone down hill. By the way I believe it is now the oldest standing Marriott hotel in the world! Yes, Key Bridge is now the oldest Marriott around. Like PHC wrote, the first one was Twin Bridges, it closed at the end of 1988. The land (over several years of haggling) became a county park with nice turf fields (that can be seen from the Potomac River side rooms of the Pentagon City Residence Inn. One of my favorite activities, now that I no longer enjoy fighting the crowds, is securing a room at the Key Bridge Marriott for the 4th of July fireworks. what is cool, (besides skipping the traffic) is to my surprise, you can see scores of community fireworks shows along with the big Mall presentation (turn on PBS and you've got yourself a simulcast, with wine, beer, snacks - yeah man). When I first arrived in DC in 1963 the Key Bridge facility was that motel with two restaurants. One was called Fairfield Inn. It was sort of an upscale Hot Shoppe. The other was called Sirloin and Saddle and was a very pleasant steak house. Eating at the Fairfield Inn was actually, my first encounter with Marriott, which was then called Marriott Hot Shoppe. In 1966 I bought stock in Marriott Hot Shoppe and I've been a shareholder almost continuously since then. It has been one of my 2 or 3 best investments. I became a member of the Honored Guest program in 1991 and have been Platinum for almost a decade. I could be wrong but when I was practically living there...the staff told me it was now the oldest standing one because the other one was torn down. Plus from what I recall, they didn't tear down the old 2 story but rather built around it so that 2 story is still there from my recollection and nearest to Potomac river side, and the towers surround it with indoor/outdoor swimming pool in the middle. Anyways I guess it could depend on semantics of how one says oldest standing because it should be something like oldest original Marriott hotel because they have made some purchase in Europe (ie England that is hundreds of years old or something). Also congratulations on your purchasing of the stocks and becoming an honored guest! You should be given something special showing your loyalty not just to the hotel chain/family but the Brand. Wow, I see a lot of loyal patrons- very impressive! We only joined in 2015 - so you can call me a Newbie. Newbie or ....it doesn't matter! Welcome to the MR club! Hope you find it rewarding! I didn't realize communitymanagers has been working at Marriott that long. She must have been hired as a toddler if she signed you up in 1998. . I'm guessing you meant she helped you find out that you singed up in 1998. Either way, kudos to her. What do you mean "hired as a toddler"? She is still a toddler! Exactly, give her kudos for helping out. I was the same as you jerryl, I would use my Aeroplan number directly with the hotels to get points, i really did not wake up to loyalty programs until one of the mom and pop motor inns that i stayed at joined a Wyndham brand. Wyndham worked for me for several years because most of my business travel was in rural areas where you were more likely to find a Days Inns or Super 8's than Marriott or IHG. At the same time, i could redeem at some pretty nice resorts run by Wyndham. I was just having fun with you. The way you phrased your comment could have been interpreted as you thanking her for signing you up in 1998. I knew what you meant. Almost 20 years now. That's loyalty. My nearly 6 years with Marriott pales in comparison. I guess I just need to stick with it. Brian I actually thought it was longer but as I said I never looked at hotel loyalty as something I sought as I was always more focused on airline points so transferred all to an airline. Glad I wised up soon enough to get lifetime platinum . The response to this post has been informative and hilarious. Great to learn about fellow travelers. I joined the Marriott Rewards program in 1994 after staying at my first Marriott property in Roanoke, VA. The same property today is now a Sheraton. Sometime later this year I should finally reach Lifetime Platinum! Not sure when I signed up. It was at the World Center Orlando. I was there for a conference, and my colleague told me the rewards program was great. He was right. Maybe about 2008 or so? Really had not been aware of hotel points programs at all up to that point. On a somewhat related topic, I just got an email from United Airlines congratulating me for my 20 year anniversary as a Mileage Perks member. But I've been a member with United since 1985 (parents signed me up as a minor) so I'm not sure what was going on there. I had forgotten that we actually had our wedding reception in 1980 at the 'new' Marriott on Chester Rd. in Cincinnati. This was one of their first wedding receptions and they did a great job. I can't recall whether this was before or after I joined the Marquis program, but I was lucky to not be paying for the wedding and that my first marriage worked out great for me. Marriott has played a major role in many of my life's memorable events. I joined Marriott Rewards on March 13, 1994. I remember that day like it was yesterday...Sure I do! This thread has gotten me thinking that in two more years I will have been a Marriott Rewards member for a quarter of a century. YIKES! That's a lot of miles on the old Mustang GT. I wonder if there is a badge for this accomplishment? How long do you think it would take the IT Dept to produce one...a quarter of a century? "Quarter of a century", now that's some funny stuff right there. Hey Marriott, I want my quarter of a century badge......please develop it before I get to half a century. I don't know when I joined nor how to find out. I do know that it was called "Honored Guest" program when I did, so it must have been quite a while ago. Only got serious about it when I discovered this MR Insiders site. azdesertrat. You can find out when you first joined by calling the MR service folks. Alternatively, the next time you are online and see one of those "chat now" boxes pop up, say yes and ask the question. It only takes them seconds to respond with the answer. Thanks - it worked. Answer will appear below. In rummaging through some old files yesterday, I found my Marriott Rewards welcome packet. I joined Rewards in July 2002 -- in preparation for a driving "seafood tour" of Florida (down the east coast to Miami and back up the west coast to the Panhandle) -- and I have been an Insider since June 2013. We stayed at Marriott properties throughout the trip, and because of the points garnered and the hospitality we encountered, I -- much like the seafood delicacies we enjoyed -- was hooked. I believe it was Fall of 2002. We did many small town road trips and stayed at Holiday Inn Express...until one really bad experience and we ended up staying at a Fairfield Inn. It was my first Marriott and I've been hooked ever since. I had to call to find out from MR. I still have some of the old welcome tags in the attic!!! However, I couldn't determine from them what the actual first date was. After calling, I was informed that it was Jan 31st 1991.
etwhite, look at you tossing out the nostalgia! Good stuff. Here is the best write up that I have seen at other Marriott presentations. beauvallonboy Great link, with terrific photos and complete history of Marriott. Thanks for posting it. What a wonderful story in photos of the history of Marriott's.....thank you beauvallonboy for finding that and sharing. Thanks to helpful direction from mustanggt I learned it was April 26, 1984.....no wonder I didn't remember. There should be bonus points for surviving this long. Yikes azdesertrat. How can you be so young and yet have been a MR member for so long!?! mustanggt - Have to take the 5th on that question, but want my third of a century badge in April! Congrats and welcome to what I consider is the most rewarding hotel program going. MInd you, I would say that. I'm here! It is a great group with lots of useful info! Joined just after you! November 20th, 1983! You have the advantage of six hours over me, but you must remember you are 40 years older than me! BTW, we all had a great time in Houston! As the younger, better looking, world traveler, you jerrycoin are, for sure, The Man ! Great news; badgeman bejacob, our beer loving barrister brightlybob, social media maven seatexan, master planner (man, read her ground transportation logistical plans, we're in great hands) pluto77 and yeah, even the ol' man with the pens, painedplatinum are organizing Tipple 2 - fun time had by all. A valuable role that we all hope you perform (along with providing ground transportation for your fellow Houstonian) at Tipple 2. Aruba baby! Get photos of those pink flamingos. What a pair those two are....so good to see both you boys in H-Town and thankfully somebody smart took the photo! Marriott Rewards member since May something, 1990. A relative newbee by some standards (see photo).